The Danish government funds numerous Israeli and Palestinian non-governmental organizations (NGOs) directly through the Danish Ministry of Foreign Affairs (DANIDA), and indirectly through the United Nations, church groups, and aid organizations such as DanChurchAid and Oxfam GB. The Danish government also provides support to DanWatch, a vocal supporter of BDS (boycotts, divestment, and sanctions) against Israel. 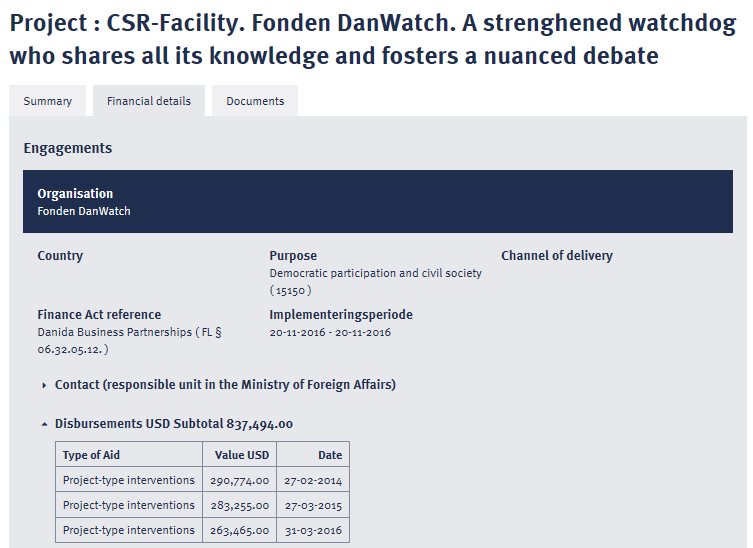 According to DANIDA’s Openaid website, in 2016–2018, the Danish government committed DKK 123.4 million ($18.6 million) to NGOs in the West Bank and Gaza. On December 22, 2017, following a review of its support for Palestinian NGOs, Foreign Minister Anders Samuelsen announced that Denmark would tighten conditions for Danish assistance to Palestinian NGOs. 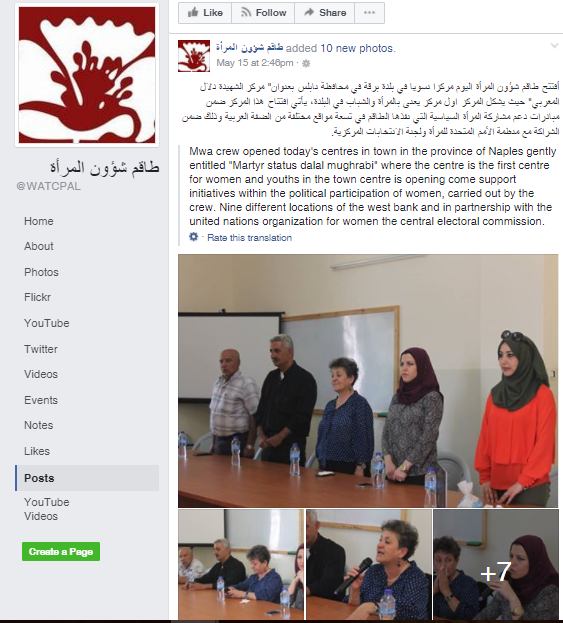 In May 2017, a Secretariat-funded NGO, Women’s Affairs Technical Committee (WATC), inaugurated a youth center in the town of Burqa, near Nablus. The center is named after Dalal Mughrabi, a terrorist who in 1978 murdered 37 civilians, including 12 children. On June 2, 2017, after further investigation, the Danish Foreign Minister stated that he was “outraged that WATC, claiming to work for human rights, not just glorified a terrorist, but also abused the trust of a generous people like the Danish. It is totally unacceptable, and I cannot too strongly denounce it. Denmark and Danish tax money should under no circumstances be used for anything that in any way glorify or promote terrorism. Therefore, we now require of WACT that they pay Danish support back” (emphasis added). 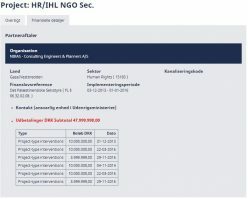 On October 19, 2018, the Ministry of Foreign Affairs of Denmark announced “new agreements with seven Israeli and Palestinian NGOs on support for human rights work in Palestine.” According to the Ministry, “This reduces the number of supported NGOs from past 23 to now 7, as well as underpinning tighter criteria.” The NGOS included on the project, titled “Strengthening Human Rights and Democratic Accountability,” are Breaking the Silence, B’Tselem, Gisha, Public Committee against Torture in Israel (PCATI), Democracy and Workers’ Rights Centre, Women’s Affairs Center, and Women’s Studies Center. Breaking the Silence received DKK 1,300,000. B’Tselem actively pursues its political agenda in the Israeli courts and the Knesset. Public Committee Against Torture in Israel (PCATI) received DKK 650,000. 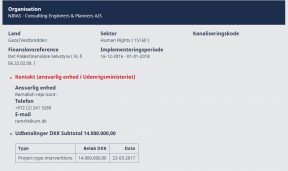 Democracy and Workers’ Rights Centre (DWRC) received DKK 925,000. Women’s Affairs Center received DKK 1,100,000. WAC accuses Israel of “clear war crimes” and perpetuating a “Nakba,” and is active in supporting BDS campaigns. Women’s Studies Center received DKK 925,000. Women’s Studies Center supports BDS campaigns. ICHR received DKK 10 million (2017-2018) from Denmark. The Secretariat, via NIRAS, received approximately DKK 34 million for 2013-2017 (see screenshot below). The Secretariat funded highly politicized NGOs that promote BDS campaigns and engage in legal warfare against Israeli officials and companies that do business with Israel. Some of these NGOs have reported ties to the Popular Front for the Liberation of Palestine (PFLP), a terrorist organization designated as such by the U.S., EU, Canada and Israel; promote blatant antisemitism; distort facts; advance a “1948 agenda”; exploit the false “apartheid” analogy; and undermine peace and contribute to radicalization. Founded to promote a Palestinian “right of return” and a leader of international BDS campaigns. BADIL holds annual “right of return contests” and has published antisemitic cartoons on its website, as well as imagery promoting the elimination of Israel, which is a widely recognized form of antisemitism. A cartoon that won a monetary prize for 2nd place in BADIL’s 2010 Al-Awda Nakba caricature competition is a blatant representation of classic antisemitic tropes, including a Jewish man, garbed in traditional Hasidic attire, with a hooked nose and side locks. Al-Haq is a leader in anti-Israel “lawfare” campaigns and BDS activities. The NGO’s General Director Shawan Jabarin is allegedly linked to the Popular Front for the Liberation of Palestine (PFLP), a designated terrorist organization by the U.S., EU, Canada, and Israel. In an interview, PCHR director Raji Sourani admitted that he served “a three-year sentence [1979-1982] imposed by an Israeli court which convicted him of membership in the illegal Popular Front for the Liberation of Palestine…” He was also denied a US entry visain 2012. This included DKK 168.5 million from Danish International Development Agency (DANIDA), DKK 66 million from the European Union, and DKK 157.5 million from “International Donors” (United States, United Kingdom, Switzerland, Norway, Netherlands, Germany, Church of Sweden, ICCO (Netherlands), and the United Nations). DanChurchAid (DCA) partners with some of the most politicized NGOs active in the Arab-Israeli conflict, including BADIL, Breaking the Silence, B’Tselem, Palestinian Center for Human Rights, Women’s Centre for Legal Aid and Counseling (WCLAC), Applied Research Institute Jerusalem (ARIJ), Maan Development Center, Palestinian Working Women’s Society for Development (PWWSD), Grassroots Jerusalem, Sheikh Jarrah Solidarity Movement, Women’s Affairs Center (WAC), and Youth Empowerment Center (YEC). On May 30, 2017, DanChurchAid posted a response to criticism against its partnerships with organizations and individuals with alleged ties to terrorism and that promote antisemitism. 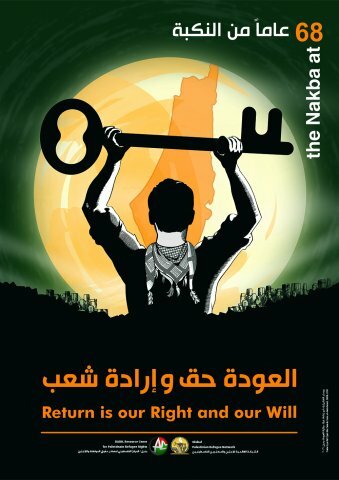 However, the 2015 drawing in question, which depicts a fist punching through the entire State of Israel, was indeed published by Badil. DanChurchAid support for Ecumenical Accompaniment Programme in Palestine and Israel (EAPPI). DCA “in cooperation with the Danish Council of Churches and the Inter-Religious Council, sends volunteers to the West Bank” with Ecumenical Accompaniment Programme in Palestine and Israel (EAPPI). Upon returning to their home countries, many EAPPI activists use their experience in the West Bank to promote anti-Israel campaigns, including promoting BDS (boycott, divestment, and sanctions). Between 2017-2019, DanChurchAid granted EAPPI with DKK 328,995. Denmark committed $3.6 million to Oxfam for 2017-2020. Oxfam GB has received over $2.4 million from Danida through the Transitional Programme 2014 2015. Oxfam GB consistently paints a misleading picture of the Arab-Israeli conflict, departing from its humanitarian mission that is focused on combatting poverty. The organization provides grants to NGOs that further distort this mission, including Gisha, B’Tselem, Zochrot, Yesh Din, Breaking the Silence, and Association for Civil Rights in Israel (ACRI). Most Oxfam GB statements erase all complexity and blame Israel exclusively for the conflict. Information for 2015-2017 based on quarterly reports submitted to the Israeli Registrar of Non-Profits; 2013-2014 on annual reports. DanWatch describes itself as an “independent media and research centre specialized in investigative journalism on global issues.” However, the organization leverages this allegedly “independent” position to politically attack Israel. According to DanWatch, a “DanWatch-investigation” led to Danish pension fund, Sampension, to divest from four publicly traded Israeli companies. In contrast to DanWatch’s claim of being an “independent media and research centre,” publications regarding Israel are commissioned by organizations with a history of anti-Israel activities (i.e. DanChurchAid – see above). *Unclear if this is a duplication of other funding or a separate grant. An overview of Danish funding, directly and indirectly, to politicized NGOs active in the Arab-Israeli conflict. The Danish government funds numerous NGOs that are centrally involved in the Durban Strategy of political warfare, which seeks to demonize and delegitimize Israel. Shaun Sacks presented before the Danish parliament on its funding of highly politicized NGOs involved in the Israeli-Palestinian conflict, whose goals and methods contradict the stated objectives of the Danish government. Denmark is a major state-donor of humanitarian and development funds to NGOs engaged in intense political advocacy campaigns directed against Israel. These NGOs actively support Boycott, Divestment and Sanctions, and employ the rhetoric of human rights, international law and apartheid to isolate Israel internationally. Such funding is inconsistent with the stated goals of Denmarks development agency and government, strengthening democracy, good governance and human rights.